Is The Internet Of Things (IoT) Really New Or Simply Recycled? There is a lot of hype around the Internet of Things (IoT) yet many, if not most, are confused by what IoT really is and what it means for their IP and their business. In fact, some people claim that the IoT is simply a matter of applying existing technology to new applications. Many companies new to the IoT market may have strong and expansive portfolio positions for assertion. This makes it difficult at best to discern whether or not IoT inventions are really new or just recycled technology. If you are a new player in the IoT market, you most likely will be filing patent applications for new innovations; however, since IoT is being built on established technology, you need to be aware that there are hundreds of technology companies that may already own the seminal foundation patents. First, let’s review, what is the IoT? Basically, the IoT connects any device with an on/off switch to the Internet or to other devices. By adding sensors and employing analytics, new levels of efficiency and business refinement are achieved. This is fuelling applications across virtually every part of life, from medical applications that sense the walking cadence and heart rate of an elderly loved one through their slippers, to the remote wireless control of high voltage electric power grids. Virtually everything can be sensed and all at ultra-low costs. Today, the medical, fitness wearables, industrial, automotive, and smart homes markets are driving billions of shipments each year in both silicon and devices. As a participant in the IoT world, it’s important to have a high-level understanding of the five IoT technology segments, as well as a deeper understanding of the patent landscape of “Things.” IoT has five technology segments: Things, Networking, Computing & Storage, Services, and Analytics. Things are sensors and actuators, mechanical devices that take energy and convert it into some type of motion. IoT sensors are inexpensive, very low power, wireless, and either disposable or “install and forget.” They are intended to work well but not perfectly, on aggregate data. Outlier data will be dropped. Sensors are asleep most of the time, but periodically wake up to transmit small bursts of data. The actuators may include automated controls, robots, or humans. Networking includes a gateway, wireless infrastructure, and Internet transportation of data to the cloud. The gateway depends on the application and range of communication of the Things. The radio could be new Long-Range (LoRa) or established technologies like Bluetooth Low Energy, WiFi, or cellular. Gateways can be simple, or smart as those used in home IoT solutions. The network infrastructure today is very well established. Data pipes are larger in the downstream direction from cloud to gateways for high bandwidth applications like video. With IoT, the upstream pipe will become larger as well, so that it can carry data for the half billion Things forecast by 2020. Computing and storage of the full volume of sensor data is provided by big data systems. Big data computing and storage are well-established technologies that have been implemented widely in data centers, where data security is critical. Services include Infrastructure-as-a-Service (IaaS), Platform-as-a-Service (PaaS), and Software-as-a-Service (SaaS) and provide the means to deliver applications and services using the data for a particular client. These new IoT applications will include high reliability for medical, safety for automated cars, efficiency for manufacturing, and security for homes. Analytics of broad amounts of IoT data will help identify IoT system refinements, using metrics and machine learning. This is a new area of technology, mostly software, where the goal is to look for operational or business metrics that allow a decision maker to make refinements and adjustments to each local IoT system. It also encompasses machine learning, which opens the door to a range of solutions. The technology and patents for these five technology areas differ in content and maturity, with the technologies at the beginning of this system, Things, and at the end of this system, Analytics, being the newest. Despite the fact that the technologies in between, networking, computing and storage, and services, are established, they will need to evolve and scale for IoT. Therefore, while the IoT may leverage existing technology that may require licensing, it does not, as some claim, simply recycle old technology. For designers working in the IoT markets, it is important to understand the patent landscape in order to avoid infringement or large licensing fees, especially in the “in between” areas where there is a dominance of mature companies and patents. Many companies new to the IoT market may have strong and expansive portfolio positions for assertion. Even so, understanding the market players, their experience, and their patents in similar products, is vital in creating a product and IP strategy that can deliver a high return in the IoT market. What we found was that given the diversity of technologies in IoT’s Things, the innovations in low power and analytics, and the wealth of established technology that is being repurposed for this market, there will be strong licensing positions held by a wide assortment of well established companies. Those companies entering the market will have to prepare for licensing by driving their rate of patent applications, purchasing patents, taking licenses, or being acquired as part of a round of market consolidation. Overall, the IoT will continue to evolve as we move beyond humans talking to machines, to machines talking to machines. 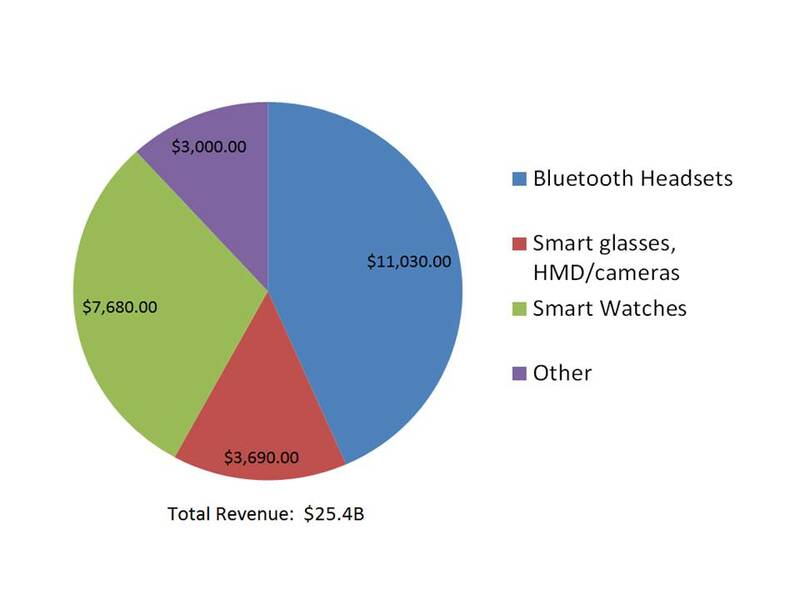 Already the medical, fitness wearables, industry, automotive, and smart homes markets are driving billions of shipments per year in silicon and devices. Many other markets are poised to jump on the IoT bandwagon as the IoT permeates every facet of daily life. While new technology developed for the IoT will drive the growth of newly patented technology, it will also drive explosive growth in the patent licensing landscape as many of the patented technology being used in new ways for IoT Things is nearly 20 years old. "Is The Internet Of Things (IoT) Really New Or Simply Recycled?" by Intellectual Property Watch is licensed under a Creative Commons Attribution-NonCommercial-ShareAlike 4.0 International License.